JTable Java : How to make JTable cells editable or not editable using DefaultTableModel. 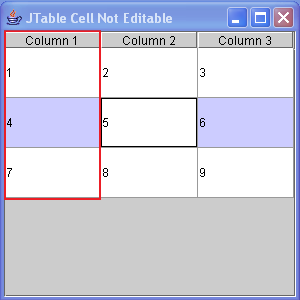 Here is a little solution to make the cells of JTable editable or not editable. Here I have coded to make the cells of Column-1 not editable but cells of Column-2 and Column-3 are editable. 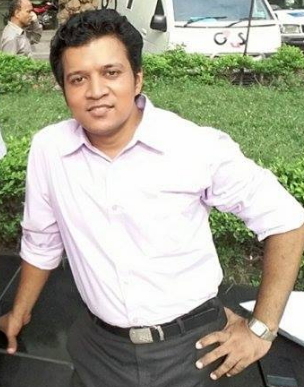 Previous postQuiz on Appropriate preposition|| For Students||Recruitment examination||MCQ Test. Next postAll About Basic Fill in the Blanks with Appropriate Prepositions.